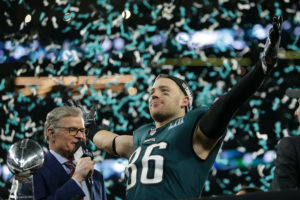 The Philadelphia Eagles defeated the New England Patriots 41-33 to become the NFL champions in Super Bowl LII. Eagles QB Nick Foles was named MVP. It is the First Super Bowl win for Philadelphia. The game was action-packed from the start, and it was far from perfect. It included two missed extra points’ missed field goal,and a fumble by, of all people, Tom Brady which might have sealed the game. The contest had no sacks and only one interception. 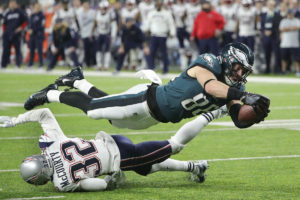 The Philadelphia Eagles stepped in with their vaunted defense and held the Patriots on the red zone more than once in the first half, which might have cost the Patriots the game in the end. The Patriots blazed up and down the field on the Philly defense, but were forced to settle for field goals more that once. The Eagles Nick Foles came a long way this year. 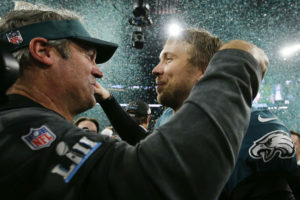 For a QB who was contemplating quitting football after coach Chip Kelly took over the Eagles coaching job, to now being Super Bowl MVP is a compelling story. The Eagles Carson Wentz was blazing towards the NFL MVP title for the regular season but was cut short with an injured ACL, Foles stepped in and finished the season. This year’s Super Bowl produced over 1,000 yards of offense, a record ), with New England’s Tom Brady torching the Eagles secondary for over 500 yards. The Eagles, however, were able to keep up with the Pats and managed to get they key stops when it was crucial. The most memorable play from the game has to be a gutsy call by Philly Coach Doug Peterson. The ball was snapped directly to running back Corey Clement, who handed it to tight end Trey Burton (a former college quarterback at Florida), who lofted a pass to a wide-open Foles in the right side of the end zone. What made the play even more spectacular was that it came on a fourth-and-one at the one yard line with 34 seconds remaining – a time when most coaches would opt to take the points with a field goal rather than take such a risk. With the catch Foles became the first player in Super Bowl history to catch and throw a touchdown in the same game. After the Patriots took their first lead of the game, at 33-32 with 9:22 remaining, the Eagles could have wilted. But quarterback Nick Foles led the Eagles on a 14-play, 75 yard touchdown drive to retake the lead with 2:21 remaining on an 11-yard pass from Foles to tight end Zach Ertz. The drive included a fourth-down conversion near midfield, also on a pass from Foles to Ertz. 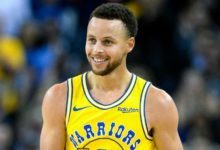 The game ended up with a set up similar to last year’s ending, with New England being down 8 points and a little over two minutes left in regulation time. 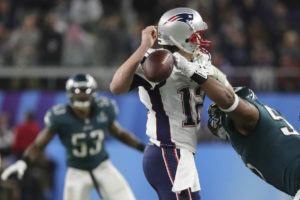 The Eagles defensive end Brandon Graham pushed his way into the pocket and knocked the ball from Brady’s hand, and teammate Derek Barnett recovered the fumble with 2:16 remaining. It was the first turnover of the game for the Patriots. The Eagles Then held the Patriots on the final drive, forcing them into a hail mary that the Eagles knocked down to end the game.